AutoDecept wrote: Gamma X is up now! Wait...have there been other new outer space men releases since Onell offered the metaluna mutant and the recent little dude last week? What are those you guys are posting? 2.0's? Re-issues with improvements? 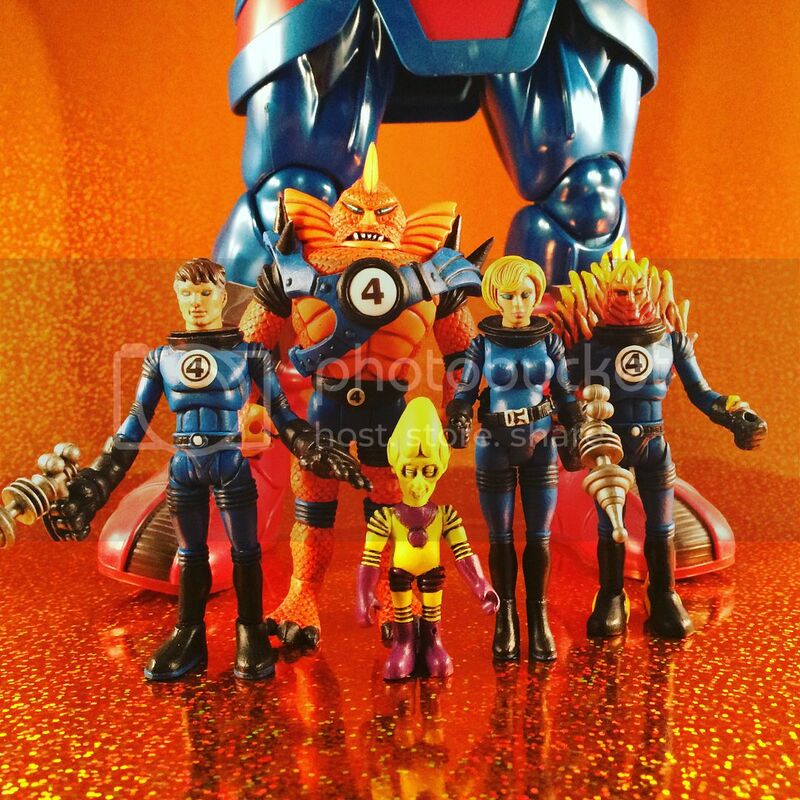 Netkid wrote: Wait...have there been other new outer space men releases since Onell offered the metaluna mutant and the recent little dude last week? and the glow Colossus Rex is debuting at nycc in october. no official word on whats next. And a new Alpha 7, which I also missed. "COMING SOON!!! Gemini Cosmic Radiation. Stay tuned for more details." Awesome job! Been meaning to ask. Are those Galactus feet in the background? Ah awesome. Too bad they never made any plain clear parts of Terra Firma, otherwise your Sue Storm would of been even more perfect. Also love the fact that you included Impy. Everyone always forgets about poor Impy. 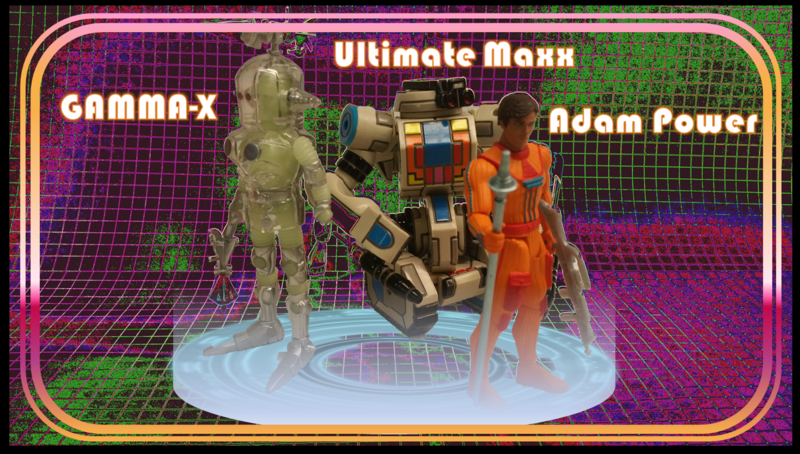 Looks like the same situation as Cosmic Radiation Gamma X is happening with the Cosmic Radiation Colossus Rex: a case has been set aside for online sale and will go up on the website Friday at 9:00.
xanthax wrote: Anyone else get the bonus gitd weapon set? My shield did not have a clip. The bag was taped shut too. i got one with my infinity 2.0 and the exact same, no clip, bag taped. Ditto on that, I got 2 and they both were taped shut minus the clip. Also it should be noted, I love the way this Colossus Rex looks! The glow with the Silver accents looks so good! I wouldn't expect a clip with the glow gear - the weapons are ABS plastic and on their own sprue, the clip is a PVC plastic part (meaning it's run along with the figure). There aren't extra clips since they're tied to the production of the figures... you're gonna have to steal one. I gotta assume Gemini and Orbitron are in the batch to finish the set since they share weapons sprues. And let's not forget the fugitive from ALGOL. yeah, i heard all three white stars were coming this week along with the glow. I'm torn about being excited for more White Stars. It's nice to finally finish the set, but I never much loved them in the first place. At least we can put them behind us and move on to some other better thing. I'm hoping we get wacky colors and more painted stuff when the whole Cosmic Radiation cycle ends - very happpy to have glow, but I'm more excited to see what's next. Like that Algol fugitive. This is gonna kill me. With the theme, I wonder if the Fugitive from Algol is a repainted to look Two Bad. Drop tonight 9pm Eastern! Cosmic Radiation Cyclops!! !